This past week I had the pleasure of presenting to the New Jersey English Language Learners Advisory Committee on behalf of the New Jersey Association of School Librarians. This group included members of the Department of Education, ELL supervisors, and ELL teachers. My presentation was completed with the help of Mrs. Mary Moyer Stubbs who is our Legislative Consultant, various members of NJASL, and the NJ State Library. 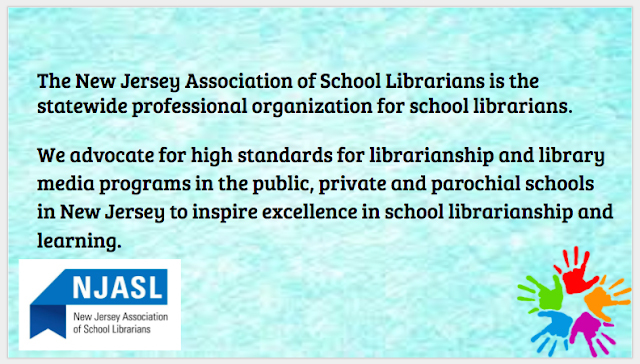 I spent the beginning of my presentation talking about the importance of librarians and NJASL. Librarians and specifically New Jersey librarians are working with ELL students on a daily basis. Considering the average school’s ELL students make up ten percent of the student population, this is no surprise. Some of the areas we are specifically working with ELL students are: Collection Development, Translating Services, Open Access to the Library, Library Instruction, Collaborating, and Makerspaces. School libraries, as well as public libraries, are adding books in other languages to their collection. Many librarians are also asking ELL students for input in this area. Interlibrary loan is also a really great resource, especially in these times when budgets are getting slashed. 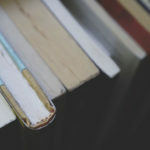 In addition to print books, audiobooks, ebooks, and databases are also being purchased. Many of these items are available in multiple languages, or they offer a translation feature. Graphic novels are also a fantastic resource for ELL students. They are high interest and the pictures can fill in the gaps for students. Sara Stevenson wrote an awesome article on using Graphic Novels with ELL students in AASL’s Knowledge Quest. Librarians are helping ELL students with translating services. Many websites and databases offer translation features. I personally use MackinVIA to hold all of my library digital resources. 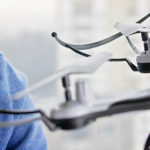 Many of the electronic items that I have purchased directly from Mackin offer wonderful translating features on many of their electronic items. Librarians are also translating other items such as directions. One librarian from New Jersey I spoke to told me that she was able to get directions for computer coding in the Ukraine language. Libraries are one of the few places in a school or community that offer Open Access to all, and it is no different with ELL students. ELL students are pulled out of their academic classes and the library provides a safe spot for these students. Librarians are providing instruction to classes through information literacy lessons, technology lessons, and interactive storytimes. Many librarians are finding that they need to hand tailor their lessons and assignments so ELL students are included. Collaborating with other teachers is nothing new for librarians. It has always been our job to work with other teachers, to help provide students with pertinent information for assignments. Many librarians are also forming alliances with school organizations that represent ELL students. • Bloxels – offers color-coded squares, which turns into a video game handmade by students. In conclusion, this was a wonderful experience. I have presented all over the country, but so far this was the greatest honor I have had. I have included a copy of my presentation . It is important for other organizations to learn about libraries and all that we have to offer students and community members.